When it comes to top-tier Android flagships, one doesn’t think of Oppo as often as Samsung and Google. There is no doubt that the Find X is a beautiful device, but it lacks some critical features such as wireless charging, which can be a major deal-breaker for someone willing to cough up that kind of dough for a smartphone. Mysmartprice stumbled upon a recent patent filed by Oppo indicates that the company could be working on a new wireless charging system for its upcoming smartphones. The patent doesn’t delve into the specifics of how the supposed wireless charging system will work. What it does indicate, however, is that it will come with fast charging capabilities. Oppo’s wireless charging system might be faster than anything available on the market right now as existing wireless charging standards such as Qi 2.0 can only charge phones at up to 10 watts. Oppo’s wireless charging system employs a two-way communication system between the charging circuitry within the smartphone and the wireless charging base station to enable a second charging mode that’s much faster. The charger could be unveiled alongside the next Oppo flagship sometime next year. This fast wireless charging mode reportedly allows wattages more than 15 watts, although Oppo doesn’t specify the maximum possible wattage that can be achieved in this mode. If the charging pad is capable of delivering such power, we might be looking at the wireless equivalent of Oppo’s VOOC fast charging. Even Apple and Samsung’s wireless charging solutions are currently limited to a maximum of 7.5 watts. Oppo’s patent declaring charging wattages more than 15 watts could give the company a competitive edge in the flagship market. 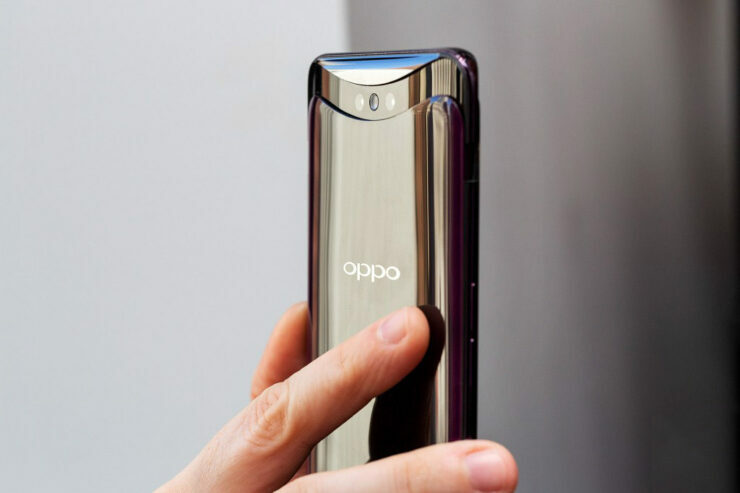 It is very likely that only certain Oppo smartphones can take advantage of the full 15W, considering that the device in question will require special hardware to facilitate it. Has Oppo ushered in a new era of wireless charging? Only time will tell. OPPO Find X Reportedly Featuring a 93.8% Screen-to-Body Ratio – Pulling Another ‘Lenovo Z5’ or Is it for Real This Time? A Modified Version of the OPPO R15 With a Snapdragon X50 Modem Completes 5G Signaling Test – Could This Be the First 5G Smartphone?